I don&apos;t know about you, but I&apos;m over the snow and slush. To pass the time during this last leg of winter&apos;s fury, I&apos;m dreaming of spring, and OK, I&apos;m doing a bit of spring shopping too. When shopping for a new season, it&apos;s best to go in with a plan, rather than spend money on random items on the fly. Knowing what&apos;s current, what&apos;s in your closet, what works for your body, and what you can wear again and again is key. Four classic yet modern trends of this season are the trench coat, a floral dress, a striped shirt, and an accordion-pleat midi skirt. 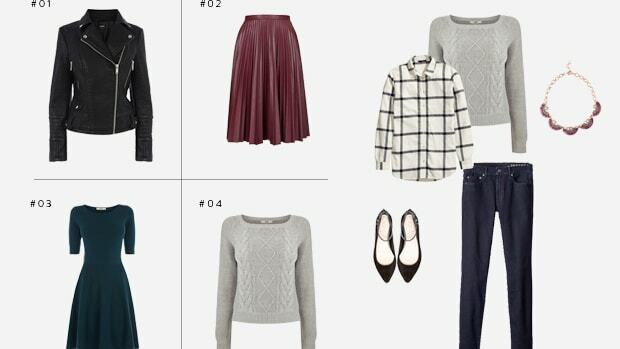 All of these pieces are easy to layer, including the dress and skirt believe it or not! Finding items that fit well and at the same time can be paired together is essential. Think outside the box. Throw on a more loose-fitting striped top over a floral dress, and all of a sudden you&apos;ve got a shirt and skirt combo. 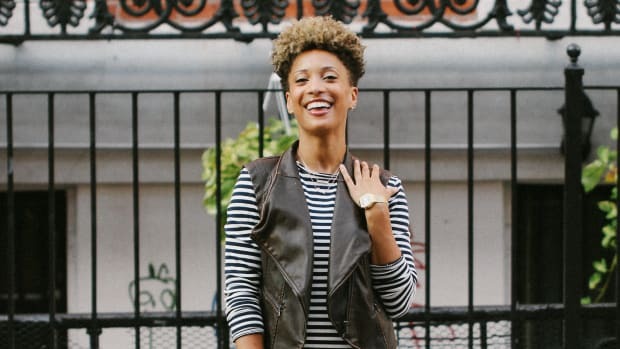 With basics such as a great pair of denim, a white tee, a brown belt, and our favorite spring shoe trends—like the mule bootie and the wooden platform wedge—you can take your style up a notch with relatively few pieces. See below for seven of the chic possibilities! 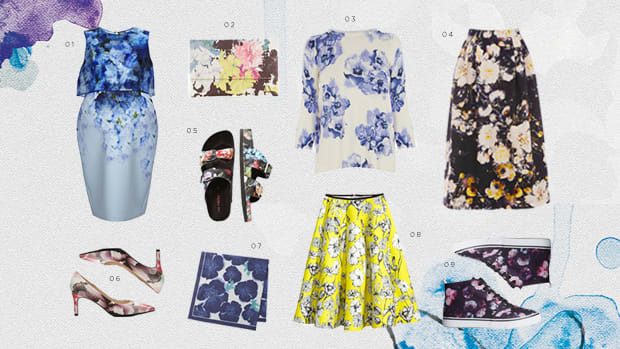 A floral dress with a large, bold pattern may seem anything but versatile. But the stark black, white, and red actually make it a complementary base for neutrals, such as the timeless trench, black-and-white-striped top, and the summery white midi skirt. 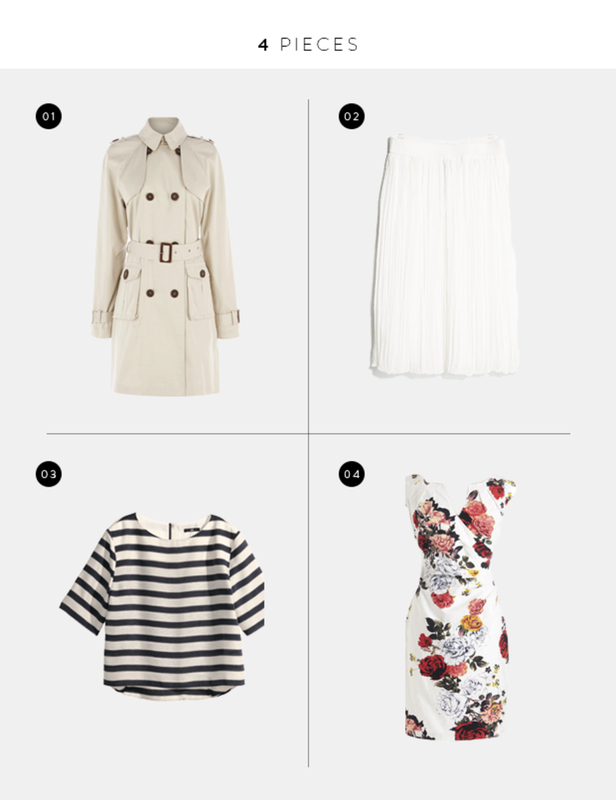 The obvious combinations are the striped top and white midi skirt (oh-so Parisian!) or the striped top and denim. 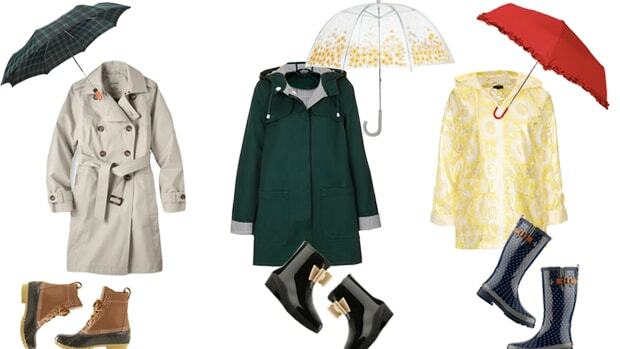 A trench can go with each of these outfits or anything in your wardrobe. A white T-shirt, jeans, and trendy mule booties are a no-brainer as well, but a trench takes the outfit up a notch for a mature and put-together look. To extend your wardrobe, try layering the striped top over the floral dress, since the top is blouse-y and roomy enough and the dress is fitted. 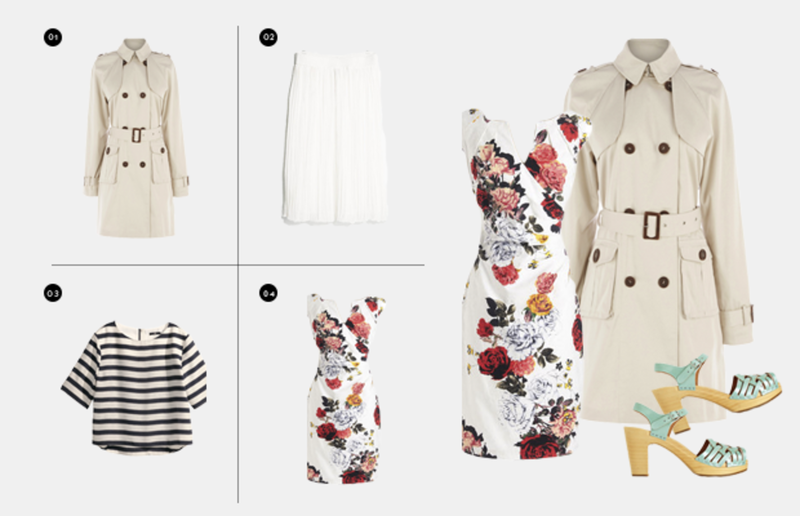 Also, try pairing the white midi skirt over the floral dress. 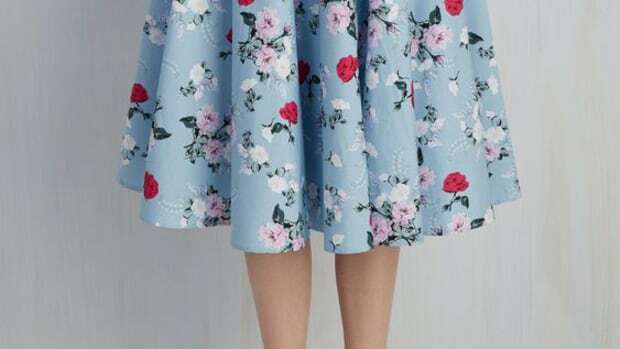 Again, the skirt is a round, accordion pleat that makes for a pretty twirl, but it will also lay nicely over a form-fitting dress. Just note that you might need a slip to camouflage the print underneath. Lastly, try a head-to-toe neutral look with a simple white tee and white midi skirt. This ensemble is great for a casual weekend date or Friday in the office.